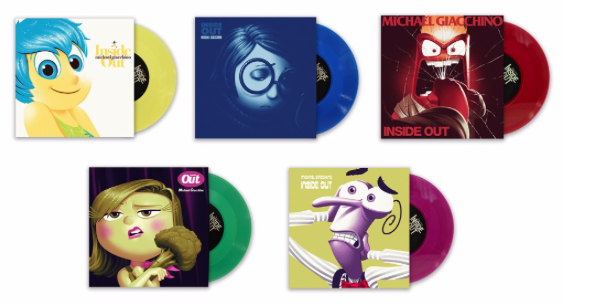 The ‘Inside Out‘ LP, which is a single in 45 rpm comes with a beautiful and fun collection of cardboard album sleeves that consist of one of the emotion characters from the movie. I received the Anger variant, which comes with an illustrated image of Anger himself on the cover punching a mirror and reflection of himself. 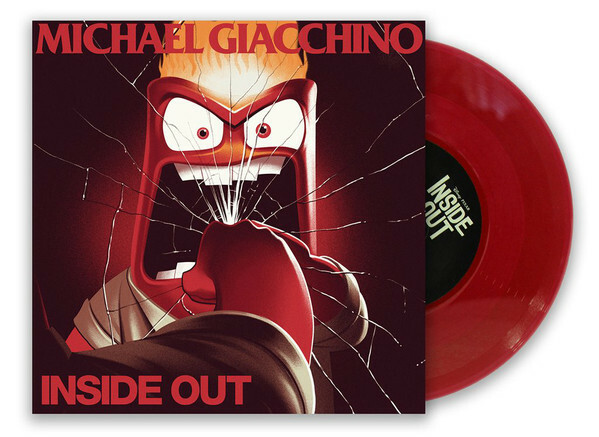 The LP itself is Translucent Red and limited to 1500 copies. The LP comes with a paper sleeve to protect against foreign objects as well. These two tracks were chosen for the single because I believe they convey the true childlike wonder of being a kid with a ton of emotions we don’t know what to do with. 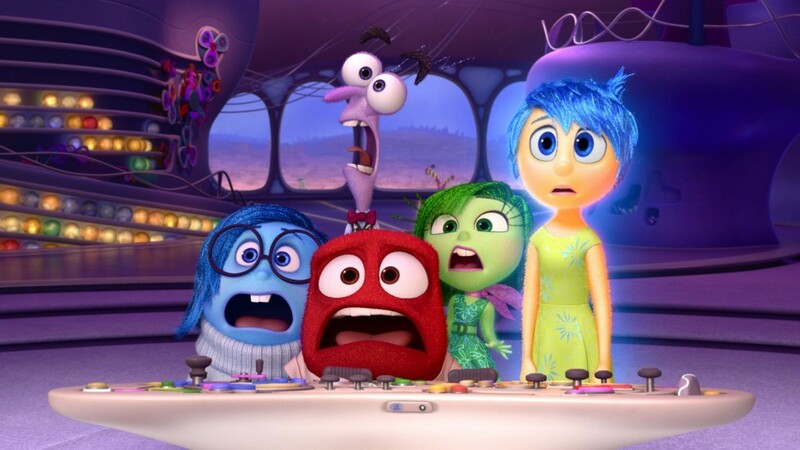 I believe Giacchino has perfectly captured the essence of these characters and reactions with his score. With ‘Bundle of Joy‘, we hear a very soothing and well – a joyous little bit of music that brings in all of the instruments to a very satisfying and settling tone that just brings a smile to your face. The winds and horns sound amazingly light here and never overblown, as to not scare anyone away. It’s almost as if you want to play this as a fun lullaby for a baby. It’s sweet for sure. Onto ‘Chasing Down Sadness‘, which is where Joy is trying to catch up with Sadness in the film. This is a bit more chaotic but still emotes those sweet tones. Towards the end of the song, there are some good crescendos and fun bits that are surprising to the listener. It’s more whimsical and has an action-sequence sort of vibe to it as if something suspenseful is coming up any moment. The dynamics on the LP are wide with the highs and lows coming through the speaker system perfectly. You’ll really hear the low end come through with a soft bass sound that brings depth to the song as well as the high notes that never sound like they’re inside a tin can. Each note is fluid and well-balanced here without an over-digitized sound. Vinyl is definitely the way to go here. 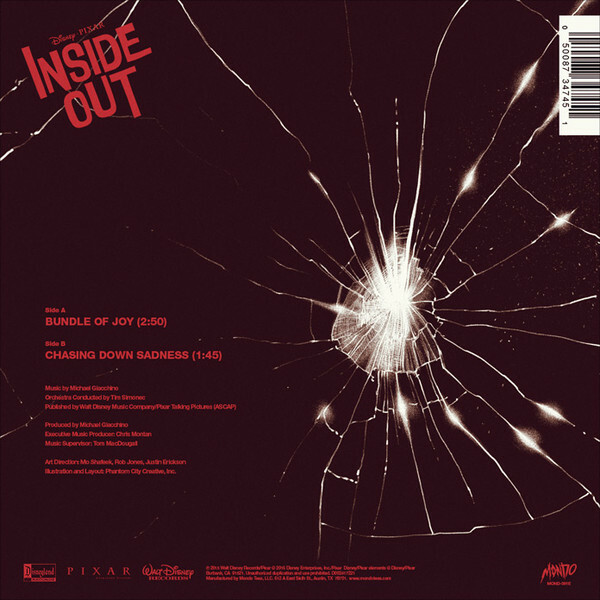 The 45′ single to ‘Inside Out‘ is simply outstanding. For fans of the movie, you’ll definitely love the two songs picked for this album by Michael Giacchino. The artwork is amazing, which you can choose from any of the emotion characters in the movie. The actual sound and dynamics sound great too. Be sure to pick this up from Mondo while you can. This entry was posted on Tuesday, July 31st, 2018 at 6:10 pm	and is filed under Music, News. You can follow any responses to this entry through the RSS 2.0 feed. You can skip to the end and leave a response. Pinging is currently not allowed.